LayersXXL adds up to 180 powerful features to Photoshop Elements for Windows that were previously only available in Photoshop. 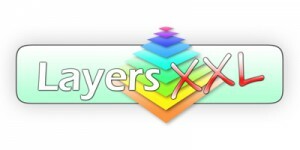 I have previously written about ElementsXXL, now the guys at The Plugin Site have LayersXXL (http://thepluginsite.com/products/layersxxl/index.htm) that adds even more features. LayersXXL adds up to 180 photo and design features to Photoshop Elements for Windows that were previously only available in Photoshop. These features are available as new menu items, icons and dialogs, so they seamlessly integrate into the user interface of Photoshop Elements. LayersXXL upgrades Photoshop Elements with features of Photoshop and bridges the gap between Photoshop Elements and Photoshop. The same GUI installation as ElementsXXL, which could not be easier and for the price is great value. Works with all versions of Elements and Windows 8, 7, Vista, XP (Note that not all features are available in all versions, see the Compatibility chart for a complete list).